Danielle is one of the many smiling faces you will see when you arrive in our office. She recently moved to the Brier Creek area and she is very excited to have joined our team as our receptionist/treatment plan coordinator. 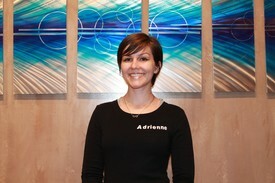 She takes pride in helping patients acheive their beautiful smile while addressing any questions/concerns they may have. Danielle loves working for Dr. McManus and our team (family). Outside of work, she enjoys watching sports and spending time with friends/family. Jessica was born in Saugerites New York. She is the second of four siblings, and has a loving mother and father. Jessica attended NC DENTAL U and graduated in December 2010. 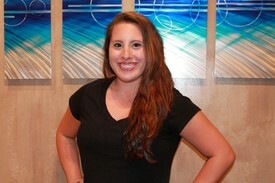 Jessica joined our dental team in January 2011. She has a very big heart for her patients, and is always willing to go above and beyond to make your experience as comfortable as possible. In her spare time, she enjoys playing softball, watching football, and spending time with her family and friends. Angela is from Raleigh, NC. She graduated from Miller Motte College and joined our practice in August 2014. 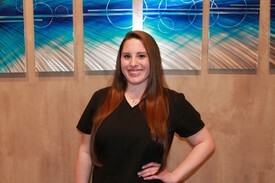 She loves learning about dentistry, and establishing relationships with patients and co-workers. In her free time she enjoys going to the gym, traveling, and caring for her fur babies, Daisy & Penny. Jeanne has lived in Raleigh, NC her entire life. She graduated first in her class from the Wake Tech Community College Dental Hygiene program. 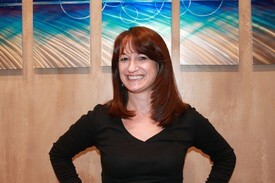 Jeanne joined our fabulous team in March 2011. 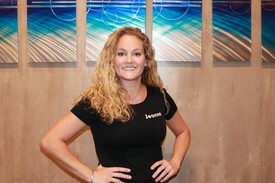 Jeanne is very passionate in educating her patients in the various aspects of maintaining a beautiful, healthy smile. In her free time she enjoys watching football with her husband and spending time with her five adorable nieces.